ZO® OLLUMINATE® INTENSE EYE REPAIR is an anti-aging eye cream made with ingredients such as retinol, vitamin E, peptides, herbal extracts, and minerals. This eye cream helps reduce the appearance of crow’s feet, dark circles, puffiness, and other signs of tired, aging eyes. Doctors such as plastic surgeons and dermatologists may recommend ZO OLLUMINATE INTENSE EYE REPAIR to their patients who have aging skin, with crow’s feet and other wrinkles around their eyes, dark circles, and puffiness. 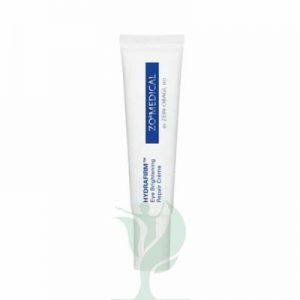 This anti-aging eye cream is suitable for all skin types. The main ingredient in ZO® OLLUMINATE® INTENSE EYE REPAIR is retinol, which helps stimulate collagen growth and epidermal renewal to improve skin strength, helping to give the skin a more even tone with fewer fine lines and wrinkles. Matrixyl 3000 peptides help promote the production of collagen and elastin within the skin to improve skin strength and elasticity. The MDI complex in this skin cream mimics glycosaminoglycans, supporting collagen and elastin and helping to prevent their breakdown by metalloproteinase enzymes. 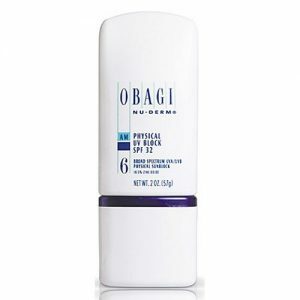 The peptides also help to improve hydration, restoring moisture to skin that may have become more dry with age. Vitamin E acts as an antioxidant, and the lavender and phyllanthus embica fruit extract act as antioxidants while also calming and soothing puffiness. These antioxidants help protect skin from free radicals, which can cause skin cell damage and premature aging. Finally, the mica and titanium dioxide particles in this eye cream are optical diffusers that help to scatter light, reducing the appearance of crow’s feet and other fine lines. Together, the ingredients in ZO® OLLUMINATE® INTENSE EYE REPAIR anti-aging formula help to strengthen skin, reduce the appearance of fine lines, wrinkles, and dark circles, and protect the eye area from free radical damage, helping to both repair and prevent signs of aging.